6 FT Round Sides Open Spandex Tablecloths, Stretch Linen Table Cloths for 72 inch Round Tables. Wholesale Tablecloths for Weddings and Events. 6FT stretch sides open spandex table covers offer an excellent foundation for a fabulous table linen setting. Commonly seen in weddings, this type of high quality stretch tablecloth is also high on the list for table display presentations at trade shows, casinos, hotels, corporate functions, and catering events due to its snug fit and modern look. 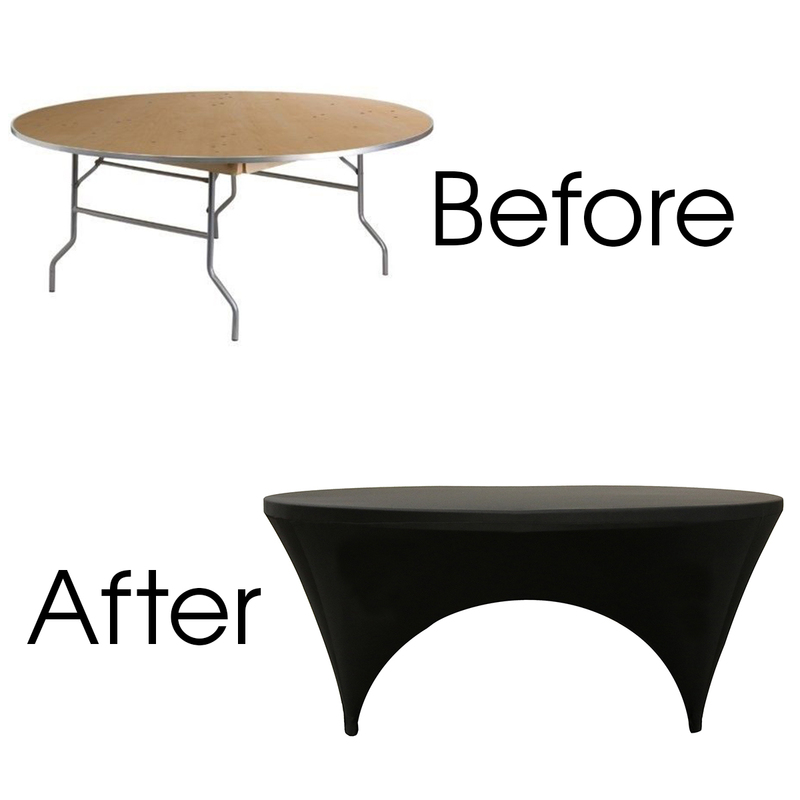 For a 72 inch round table with 30 inch height, our 6 foot round spandex table cover is the perfect tablecloth size. Made from high quality four-way stretch spandex type of fabric, our 6 ft round spandex table covers feature deep canvas pockets, are wrinkle-free, do not require ironing and are available at wholesale prices.